Nach Aufforderung eines Neustarts war der Trojaner leider immer noch im System. Habe es auch mit Malware Bytes probiert leider ebenfalls ohne Erfolg. Description: Nicht erwarteter oder fehlender Wert (Name: "PackageName", Wert: "") für Schlüssel "HKLM\Software\Classes\Installer\Products\D139E7FE48CDB174D86B8A3385904547\SourceList". Description: ID: 6, Application Name: Microsoft Office Outlook, Application Version: 12.0.6668.5000, Microsoft Office Version: 12.0.6612.1000. This session lasted 166 seconds with 0 seconds of active time. This session ended with a crash. Description: ID: 1, Application Name: Microsoft Office Excel, Application Version: 12.0.6665.5003, Microsoft Office Version: 12.0.6612.1000. This session lasted 91 seconds with 0 seconds of active time. This session ended with a crash. Description: ID: 6, Application Name: Microsoft Office Outlook, Application Version: 12.0.6668.5000, Microsoft Office Version: 12.0.6612.1000. This session lasted 9 seconds with 0 seconds of active time. This session ended with a crash. Description: ID: 6, Application Name: Microsoft Office Outlook, Application Version: 12.0.6668.5000, Microsoft Office Version: 12.0.6612.1000. This session lasted 55 seconds with 0 seconds of active time. This session ended with a crash. Description: ID: 6, Application Name: Microsoft Office Outlook, Application Version: 12.0.6665.5003, Microsoft Office Version: 12.0.6612.1000. This session lasted 11 seconds with 0 seconds of active time. This session ended with a crash. Description: ID: 6, Application Name: Microsoft Office Outlook, Application Version: 12.0.6665.5003, Microsoft Office Version: 12.0.6612.1000. This session lasted 102 seconds with 0 seconds of active time. This session ended with a crash. Description: ID: 6, Application Name: Microsoft Office Outlook, Application Version: 12.0.6665.5003, Microsoft Office Version: 12.0.6612.1000. This session lasted 12 seconds with 0 seconds of active time. This session ended with a crash. Description: ID: 6, Application Name: Microsoft Office Outlook, Application Version: 12.0.6665.5003, Microsoft Office Version: 12.0.6612.1000. This session lasted 332 seconds with 120 seconds of active time. This session ended with a crash. Description: ID: 6, Application Name: Microsoft Office Outlook, Application Version: 12.0.6661.5003, Microsoft Office Version: 12.0.6612.1000. This session lasted 1407 seconds with 360 seconds of active time. This session ended with a crash. Description: ID: 6, Application Name: Microsoft Office Outlook, Application Version: 12.0.6661.5003, Microsoft Office Version: 12.0.6612.1000. This session lasted 28 seconds with 0 seconds of active time. This session ended with a crash. "ImagePath"="\"c:\program files (x86)\Freetec\SystemStore\SystemStore.exe\"  -displayname \"System Store Service\" -servicename:SystemStoreService"
Java und Adobe bitte updaten. 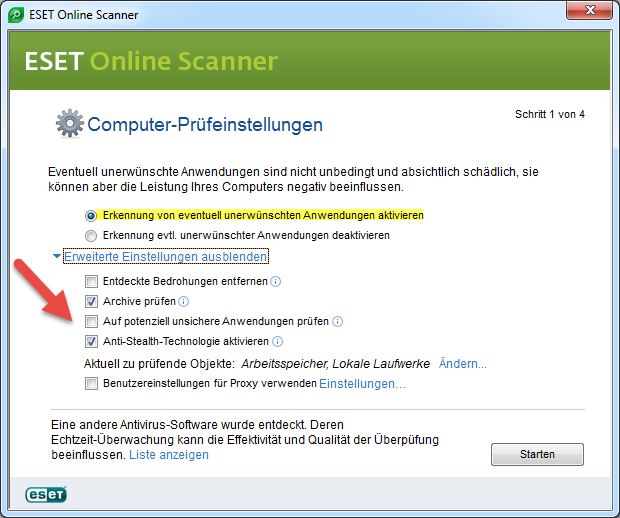 ich habe jetzt mit Malwarebytes und MSE das gesamte System inkl. aller Festplatten gescannt! Alles wieder clean!